New York and congestion pricing. To reduce traffic and air pollution, motorists will have to pay more to drive in the city’s congested areas. Has it worked in other international cities? Wall Street Journal: "New York’s Congestion-Pricing System Will Serve as Road Test for Other Cities" — "New York City is set to become the first big city in the country to put in place a charge on vehicles entering its most congested streets, and it took a booming economy, grinding traffic and a subway crisis to seal the deal. "Drivers will pay a fee to enter a zone in Manhattan’s business district with the expectation it will reduce gridlock while raising billions of dollars needed to restore the city’s struggling mass transit system. A decade after Mayor Michael Bloomberg failed in his bid to establish a charge, New York lawmakers on Sunday approved the fee as part of the state’s latest budget with many details still to come. It is expected to begin in 2021. "The congestion fee will be set by a panel to be established by the state-controlled Metropolitan Transportation Authority, which runs New York’s subway, buses and commuter rail. A panel convened by New York Gov. Andrew Cuomo suggested last year, a flat, per day fee of $11.52 for cars and $25.34 for trucks. But the budget directed that the fee should be variable, most likely depending upon traffic volume." The Conversation: "London congestion charge: what worked, what didn’t, what next" — "When London’s congestion charge was introduced by the city’s first mayor, Ken Livingstone, he hoped the charge would reduce congestion, radically improve bus services, make journey times more consistent for drivers and increase efficiency for those distributing goods and services throughout the city. "Key measures show it has been a success: in 2006, Transport for London (TfL) reported that the charge reduced traffic by 15% and congestion – that is, the extra time a trip would take because of traffic – by 30%. This effect has continued to today. Traffic volumes in the charging zone are now nearly a quarter lower than a decade ago, allowing central London road space to be given over to cyclists and pedestrians. "The charge covers a 21km² area in London. It’s a simple system: if you enter the zone between 7am and 6pm on a weekday, you pay a flat daily rate. The charge has risen gradually from £5 in 2003 to £11.50 today. Residents receive a 90% discount and registered disabled people can travel for free. Emergency services, motorcycles, taxis and minicabs are exempt." StreetsblogNYC: "A Slippery Slope: Do Albany’s Congestion Toll Exemptions Set A Dangerous Precedent?" — "Congestion pricing passed the state legislature on Monday morning with minimal exemptions. Don’t count on it staying that way. 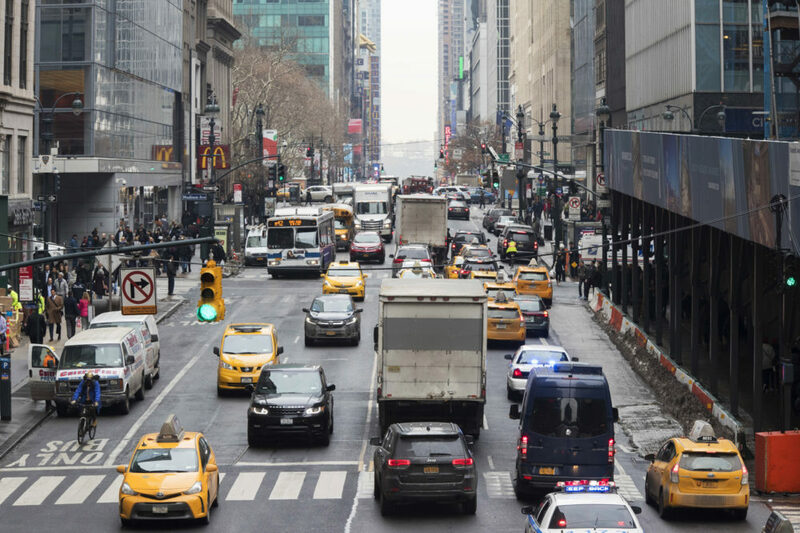 "Lawmakers did make history when they mustered the votes to toll drivers who enter Manhattan below 61st Street — a plan decades in the making. But they left the key details to a newly created 'Traffic Mobility Review Board,' which will come up with the cost of the tolls, who will pay, and when the system will be implemented. "The legislature mandated a target — enough revenue to support $15 billion in bonds for transit improvements — but specified little else [PDF]. So apres le budget, le deluge: After hearing from the public, the new panel will recommend tolling fees and exemptions to the MTA board, with just 30 days of public review before the program goes into effect in late 2020." Bloomberg: "Congestion Pricing. Has It Worked and Can It Fix New York?" — "The handful of cities around the globe that charge motorists a premium to drive in congested areas at peak times have seen traffic go down and revenue go up. New York City’s need for both has become a crisis. The Metropolitan Transportation Authority faces near-rebellion from riders and a $40 billion estimate to repair or improve its trains, subways, buses, bridges and tunnels. To raise the cash, New York Governor Andrew Cuomo won passage of a congestion-pricing plan that will tax access to Manhattan’s priciest parts to encourage people to get around underground. Critics of the plan see it as a new round of tolls rather than a program that’s innovative and eco-friendly. "Economists call it a demand-side solution. Jack up the price for almost anything and demand will fall — meaning clearer streets and cleaner air. Raising the price to create a revenue stream makes things a little tricky, though. Charge drivers too little, and you’ll make money but still have jams. Charge too much, and you risk turning off too many drivers — great if you’re going for bike- and pedestrian-friendly, not so hot if you really need the cash, too. "Singapore has charged since 1975, Stockholm made a trial run permanent in 2007 and Milan’s Area C came in 2012. Fees have been in effect in central London since 2003." Wired: "What Will Be The Right Price To Cut Congestion In New York?" — "New Yorkers love to tout their exceptionalism. Late Sunday evening, the state legislature in Albany handed city residents another first-of-its-kind distinction: New York will be the first US city to impose a fee for driving in a busy part of town. The congestion pricing plan is an effort to fight traffic—and to raise billions for the region’s floundering mass transit system. "The plan would, by 2021, establish a fee for cars or trucks entering the most hectic part of Manhattan, below 60th Street. A few people are expected to get a break on the charge, with planned exemptions or credits for low-income area residents, those with disabilities, and those who need to visit medical services in the area. But for everyone else, it should get a lot more expensive to drive around Manhattan—probably around $11 per car and $25 per truck. (Those numbers come from a state-commissioned task force on congestion pricing, but the Metropolitan Transportation Authority’s Triborough Bridge and Tunnel Authority will set the prices in coming months.) The agency might choose to assess variable fees, making it, for example, more expensive to drive in the congestion zone during rush hour or on weekdays. "The money collected through the plan is slated to go straight to the city’s public transit system. Officials say they expect the plan to raise at least $15 billion in its first five years for capital improvement projects—which just might have pushed the plan over the finish line, politics-wise. 'What precipitated this thing getting passed is the subway crisis,' says Bruce Schaller, a former New York City transportation official. 'It doesn't have anything to do with traffic speeds in Manhattan.' "
Brian Hardzinski produced this hour for broadcast. 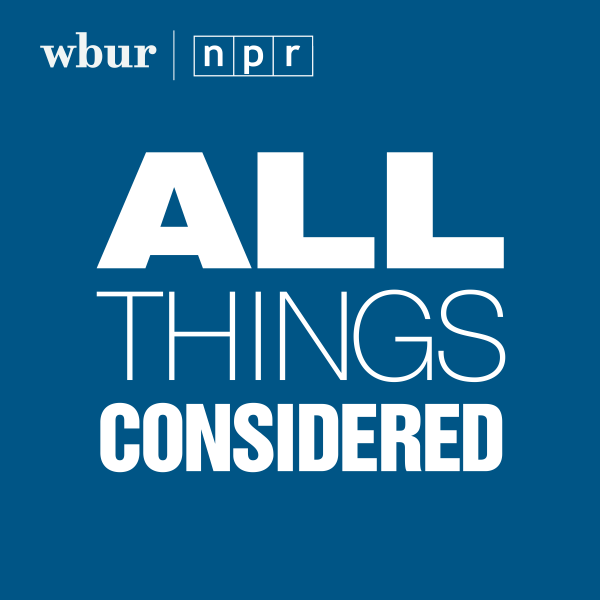 This program aired on April 4, 2019. Here & Now: Could Uber Rewards Program Worsen Traffic Congestion?